What is the Breakeven Number of Units? 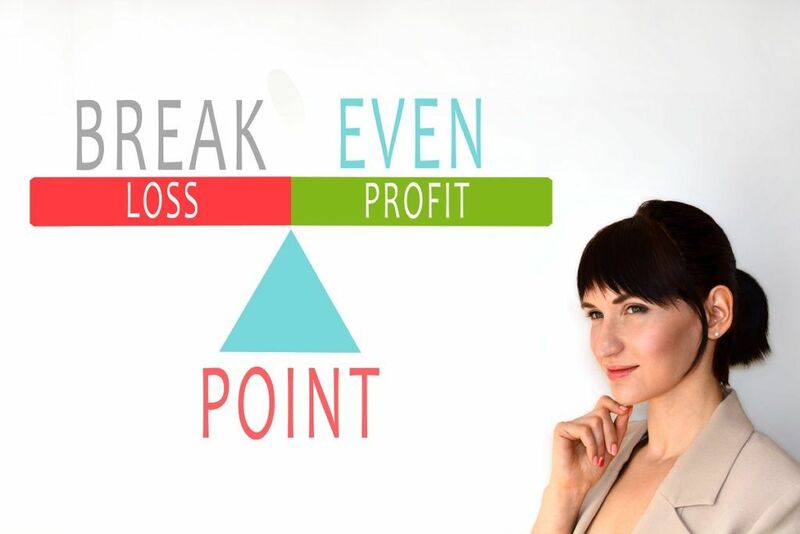 The breakeven number of units, as the name suggests, is the number of units of goods or services that a company needs to sell in order to break even, or in other words, to suffer no financial losses but also make no profit. The breakeven number of units can be understood in a slightly different way by looking at and determining the breakeven point. The terms are essentially the same thing. However, the breakeven point and its calculation and analysis are what determines the number of units a company must sell in order to break even. The entire purpose of breakeven point calculation and analysis is to compare sales and revenueRevenueRevenue is the value of all sales of goods and services recognized by a company in a period. Revenue (also revered to as Sales, Turnover, or Income) forms to the costs associated with producing and selling goods or services. Breakeven point calculation determines the number of units that must be sold in order for the company to break even, with all fixed and variable costsFixed and Variable CostsFixed and variable costs are important in management accounting and financial analysis. Fixed costs do not change with increases/decreases in units of production volume, while variable costs are solely dependent on the volume of units of production. This guide teaches an analyst the fixed vs variable cost methods being accounted for. The above formula gives a company the number of units of goods and services it must sell in order to return enough revenue to cover all of the costs associated with manufacturing, advertising5 P's of MarketingThe 5 P's of Marketing – Product, Price, Promotion, Place, and People – are key marketing elements used to position a business strategically. The 5 P's of Marketing, also known as the marketing mix, are variables that managers and owners control to satisfy customers in their target market, add value to their business,, transporting, and selling the goods and services it offers to consumers. Let’s look at an example to understand how using the breakeven point calculation reveals the breakeven number of units. It means that Company XYZ needs to sell precisely 3,500 units of sneakers in order to generate enough revenue to exactly cover all of the costs associated with making and selling the sneakers. Any sales beyond the 3,500 level will begin to generate a profit for the company. Every company is in business to make some type of profit. However, understanding the breakeven number of units is critical because it enables a company to determine the number of units it needs to sell to cover all of the expenses it’s accrued during the process of creating and selling their goods or services. Once the breakeven number of units is determined, the company then knows what sales target it needs to set in order to generate profit and reach the company’s financial goals.